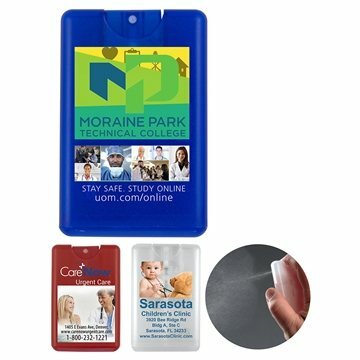 This popular credit card shaped hand sanitizer contains 20ml/.68 oz of citrus scented antibacterial spray. The quality of the product was much better than expected. For the price of this product the item turned out to be great. It looks great. Everyone was satisfied with the cost, quality, and the logo.